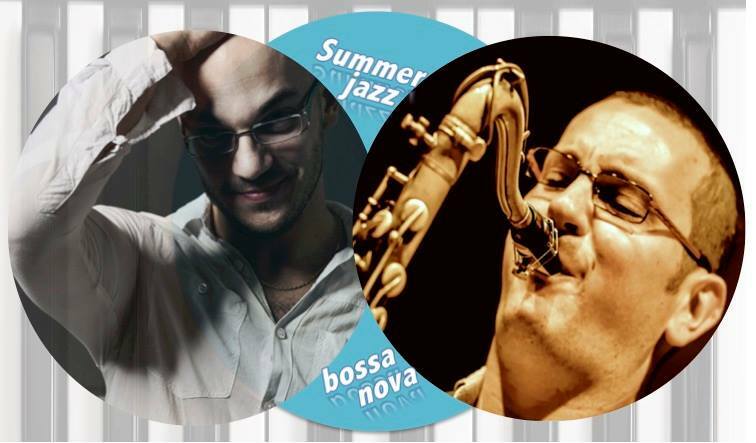 From the blue seas of Italian summer to Japan’s sunny coastlines, “Premio Internazionale Massimo Urbani 2011” awardee and virtuoso pianist Fabio Giachino and Torino Conservatorio “G.Verdi” master saxophonist Gianni Virone bring you a wonderful night of jazz and bossa nova sounds! Guesting with them are talented guitarist Yoshifumi Matsubara and sultry bossa nova singer Yukiko Miyazaki, both graduates of music colleges in the U.S. and highly reputed in Japan for their personalized style of performance. Come and join us at the sophisticated dot&blue Akasaka for a suave and cool summer night of drinks, food, and awe-inspiring songs!